2 Prime territories in Northern New Jersey, both upper middle to upper class areas with household incomes among the highest in NJ. Clients are in place and revenue is trending upward. There is tremendous opportunity for growth in this highly sought after region of the State. Attractive lease on office space located right off major highways. Both territories for sale at $109,000 or can be purchased individually for $55,000 each. Ranked #1 in the Senior Care category for 2015. Meet the Team Dedicated to Senior Care Leadership Comfort Keepers is dedicated to providing in-home care to seniors and other adults. Their care and support help improve a senior’s quality of life and enables independent living at home. Entrepreneur Magazine has once again recognized Comfort Keepers as the #1 franchise network in the Senior Care category in the 2015 Franchise 500 based on: Financial Strength, Stability, Growth Rate, System Size. Comfort Keepers® is a Sodexo brand, with 750 locations. 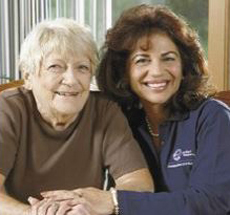 For more than 15 years, Comfort Keepers® franchisees have provided quality, in-home care for seniors and other adults offering thousands of individuals the choice to continue living independently in their own homes. During this time, CK Franchising, Inc. (CKFI), the franchisor, and the Comfort Keepers system have experienced extraordinary growth and success, and now with the support and backing of Sodexo, Inc., both companies and the franchisees expect to grow and redefine how quality senior care is delivered in the home… wherever home may be. Sodexo, Inc., a member of Sodexo Group, is a leading provider of Comprehensive Service Solutions serving more than ten million customers daily in corporations, health care, long term care, retirement, schools, higher education, government and remote sites.